Aeroflot Group’s low-cost subsidiary Pobeda Airlines is considering taking eight additional factory-new 737-800 narrowbodies on lease. The matter will be discussed at the group’s April 19 board meeting. The aircraft in question are Boeing 737-800s with serial numbers 61788, 61789, 61800, 61801, 61792, 63409, 63405, and 61793. According to open sources, the airliners have not entered service yet. As earlier announced, Pobeda was expecting delivery of five new Boeing 737-800s between September 2017 and May 2018. The decision had been approved by the parent company. 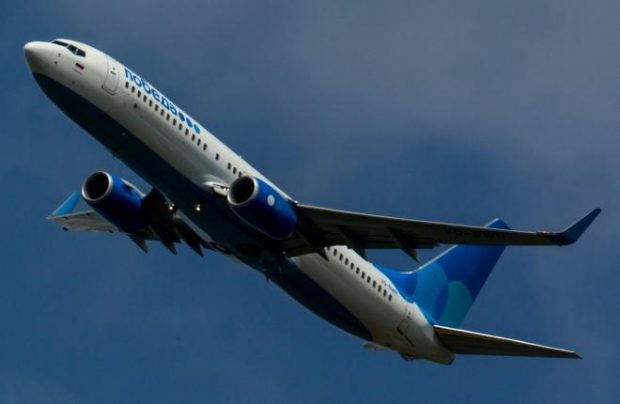 In March this year, Kommersant daily reported that Pobeda had negotiated delivery of 10 more 737-800s, which would be provided on leaseback terms. Vitaly Savelyev, CEO of Aeroflot (another airline subsidiary of Aeroflot Group), told media in February 2017 that Pobeda’s fleet would be expanded from 12 to 30 aircraft by 2019. Earlier, Savelyev had said the new aircraft would have to be acquired as replacements because of the LCC’s high fleet utilization rate. Pobeda currently utilizes its fleet at 15 flight hours per airframe daily on average. While still in the cradle, Pobeda had ambitious fleet plans. Initially the airline was planning to bring its fleet up to 40 aircraft by 2018, as its traffic was projected to exceed 10 million passengers by that time. Pobeda launched in December 2014. Last year its traffic reached 4.286 million passengers, up 38.7% on 2015. In January and February 2017 combined, the carrier’s traffic grew 3.6% year-on-year to 648,600 passengers. The airline is Russia’s sixth largest carrier by traffic. Its net profit exceeded the target last year, reaching 3 billion rubles ($52.63 million). The management expects this year’s traffic to exceed 5 million passengers, and hopes that the fleet expansion effort will stimulate the growth.